FanAI, a audience analytics company, has today announced the acquisition of Waypoint Media. Waypoint Media was a data startup that notably boasted a Twitch Middleware API as well as the Raven URL shortener. The deal also sees Waypoint’s Chief Product Officer, Kevin Hsu, join FanAI as Head of Ad Tech. 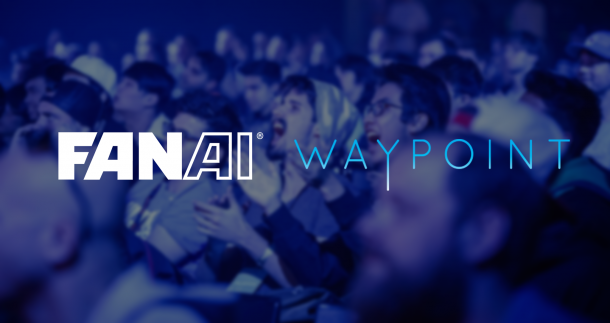 As aforementioned, the deal includes Waypoint’s Twitch Middleware API which will provide FanAI with a deeper level of understanding as to the audience profile and allow them to better hone data when considering return on investment. The Waypoint API has the ability to track every unique Twitch viewer, and thus analyse the data from average watch time, through to channel engagement. In addition, the Raven URL shortener will allow clients of FanAI to see a roadmap of how users browse their online platforms – supplementing the company’s existing purchasing data and again, better allowing the ROI measuring of campaigns, content and sponsorship activities across the space. Kevin Hsu, now Head of Ad Tech for FanAI commented: “Combining forces with FanAI is a perfect fit; we work with the same client base and have complementary solutions to the same problem. Traditionally, FanAI has focused on more static information including social and purchasing data, while Waypoint worked to gather digital movements of the audience. Combined, we can provide the best service by giving access to even more detailed and actionable data for clients”. Esports Insider says: Congratulations to Johannes, Kevin & the teams over at both Waypoint and FanAI. We’re sure the new product will be bigger and better as it becomes infinitely more important to have proper data in the esports space. There’s a general feeling that a lot of data is simply wrong, so the more analytics and data – the better.